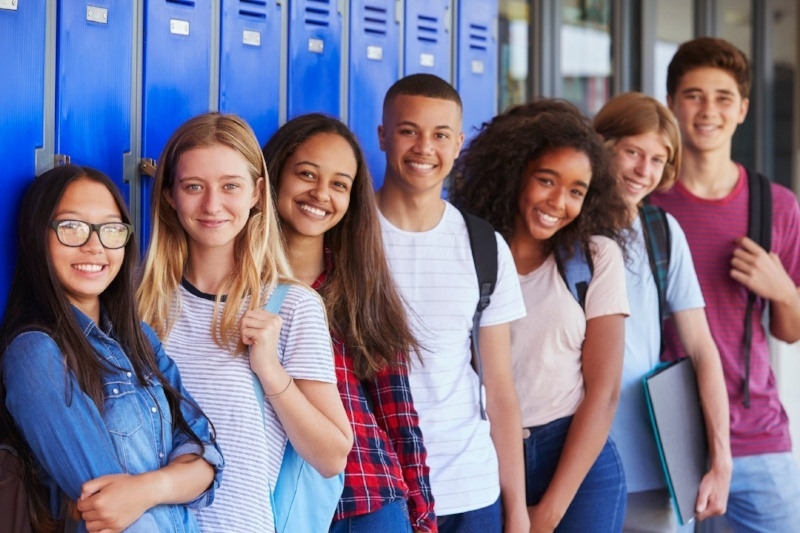 Each year of high school is different — obviously — and each presents a unique opportunity to engage in the college application process. There are countless ways to prepare for college, but teachers, school counselors, and admissions counselors agree that the best thing you can do for yourself is this: Start the process early. We're here to highlight our new digital resource for high school students — specifically, first-generation college students — by outlining specific steps and actions you will need to take each year of your high school journey. As a freshman in high school, it might seem silly to start thinking about college, but it is not too early. Although it is too early to break out an application, there are several things you can and should do during this time. 1. Narrow down your interests. 2. Improve your study and test-taking skills. No matter the major you decide to pursue, good study skills are one of the most fundamental habits to develop in high school. It is important to build your study skills early, because they are essential in college and will provide a foundation for lifelong learning. Here are some tips for productive studying! Here are some tips for successful, stress-free test taking! 3. Get involved with extracurricular activities! During your sophomore year, you will begin considering specific schools based on your academic and social interests. You will also study for and take the PSAT — a preliminary test, which will determine if you are qualified for a National Merit Scholarship and familiarize you with the SAT/ACT standardized test format. 1. PSAT: It's Prep Time! This year, you will probably hear the term PSAT alot. Don’t let it intimidate you. The PSAT is the Preliminary SAT, also known as the PSAT/NMSQT (National Merit Scholarship Qualifying Test). It is a preparatory version of the SAT exam. You are only allowed to take the PSAT once per year, and the majority of students take the test in both 10th and 11th grade. 2. Start speaking with your school counselor about college. It is important to begin building a relationship with your school counselor, so they can best assist you throughout your time in high school and help to keep you on track to accomplish your goals before graduation. The better your counselor gets to know you, the more willing and able they will be to assist you later in your high school career, like when you need a letter of recommendation or transcripts sent. So, stop into their office, introduce yourself, set up a meeting to discuss your college goals, and figure out who you can go to throughout the year when you have questions or concerns. Am I taking the kind of classes that colleges want to see? Can you walk me through the college application process? Based on my personal and academic goals, what colleges would you recommend I apply to? What financial aid resources should I look into? Do you have any tests or resources that can help me identify my strengths and potential career interests? 3. Make time for extracurriculars. Especially as your responsibilities increase your sophomore year in high school, it is important to still make time for extracurricular activities! Having multiple creative outlets helps your brain to focus when it is time to read or study. Extracurricular activities can include sports, band, chorus, debate, drama, service projects, and anything else done outside of the classroom. Junior year of high school is when the real work begins and is almost always the busiest year of the college application process, but don’t let that stress you out! By managing your time wisely and creating a calendar of what needs to get done (and when), you can easily stay on task throughout the year and reduce the potential for stress and anxiety. Read on to learn about the critical, exciting big steps to take in your college process this year. 1. Start preparing for the SAT/ACT. The SAT and ACT are standardized tests that measure a student’s aptitude for success in college. The test questions measure skills and knowledge that research has shown are important for college. There are three sections in the SAT test: evidence based Reading, Writing, Math, and an optional essay portion. You are given a combined score for the Reading, Writing, and Math sections and the essay is scored separately. If you don’t do as well as you had hoped on the SAT/ACT the first time, don’t worry! A lot of students end up taking the test more than once in order to improve the score. College visits are an exciting experience, you are finally able to envision yourself on the campus, eating the food, learning in the classrooms, and sleeping in the residence halls. Again, it is important to start your college visits early. This will allow you to spread your visits over your junior and senior year and will help prevent the visits from conflicting with extracurricular events or project deadlines. 3. Research financial aid options. Financing your college education can be a daunting task, but there are several places to look and apply for help. The key to getting financial assistance for college is to start early and apply to as many grants, scholarships, and merit-based aid opportunities as possible. You can learn more about financial aid options for college here. Congratulations! You have made it most of the way through your college application process and the stress of your junior year is behind you. It can be very tempting to settle in for the “senior slump” or catch a bad case of “senioritis” at this point, but your work is not yet over! Colleges are still looking at your grades, and believe it or not, it is important to maintain a high GPA throughout your senior year, even after being accepted to a college. The pace does slow down a bit for senior year, but it should not come to a grinding halt. Read on to learn about the things you need to complete during senior year. You scheduled your SAT/ACT and have been studying for months. You are well rested and ready to ace the test. The night before the test, make sure to go to get a good night sleep but also to pack your bag for the following day. 2. Prepare for college interviews. Some colleges might require an interview as part of the application and acceptance process. This is so they can get to know you in person, as opposed to on paper, and discover if you are the type of student they desire at their school. What can you contribute to the school? What are three adjectives to describe yourself? Also, if you don’t have the resources or ability to travel to a campus for an interview, ask the admissions office if they can conduct an interview online over Skype, Good Hangout, or whatever the college’s preferred online meeting venue is! 3. Start a college checklist (what to take!). At Neumann University, we want to help you succeed. 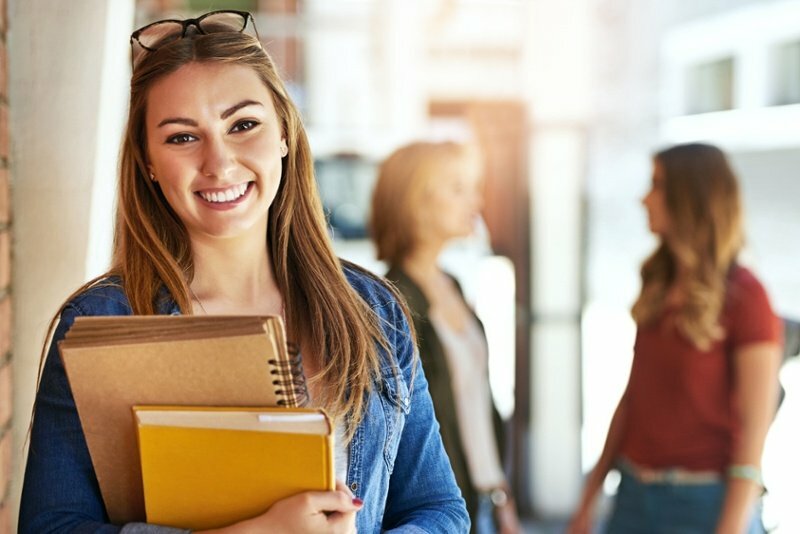 The steps listed above are by no means an exhaustive list to preparing for college during your high school years, but they are good things to start thinking about! At Neumann University, we offer a variety of college majors, and we’re excited to help you jumpstart your career with a noteworthy education. Whether you're a first-year student, an international student, a transfer student, or a first-generation college student, the professionals at NU are dedicated to helping you succeed. Feel free to request more information today!